The Bad Batch meets all five of the major criteria I look for in a film: cannibal love stories, bombed-out Texan wastelands, Lynchian and Jodorowskyian stylistic influence, hard-house remixes of Ennio Morricone tunes, and bold, saturated hues. (Or “BSH”, as I call it.) As if that wasn’t all overwhelmingly rad enough, a new report from The Wrap has made this deal even sweeter. Joining previously announced star Jason Momoa (also set to dive into the role of Aquaman in the upcoming Justice League film) are a handful of distinctive names. 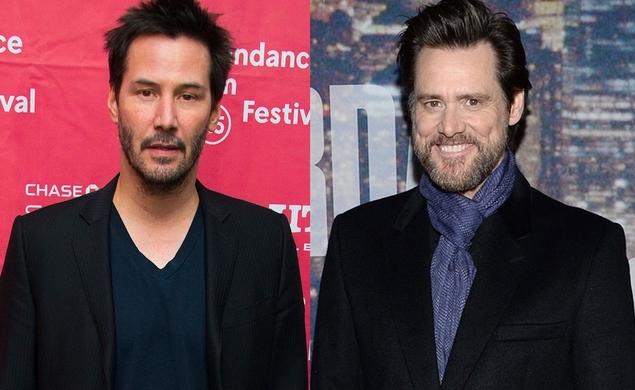 Looming largest are Keanu Reeves and Jim Carrey, neither of whom have specified their roles in the still-shadowy film. Hot off the success of John Wick, Reeves has once again become an actor to watch, and Carrey continues to be an inconsistent (though consistently fascinating) performer. Also attached to the gestating project are English supermodel Suki Waterhouse and Diego Luna (Milk, Elysium). The Bad Batch sounds like it’s shaping up to be the latest in a series of home runs for Megan Ellison’s Annapurna Pictures, a scrappy young production house responsible for some of the most exciting releases of the past few years (The Master, Her, Spring Breakers, The Grandmaster, Foxcatcher). With new releases from Richard Linklater and David O. Russell also coming down the pike at Annapurna, Megan Ellison has become the new patron saint of U.S. auteur releases. Thank you, Megan Ellison. May you continue to exercise your moneyed mercies on we scuttling film-types.